California Gulls are native to western North America and are protected by both state and federal law. 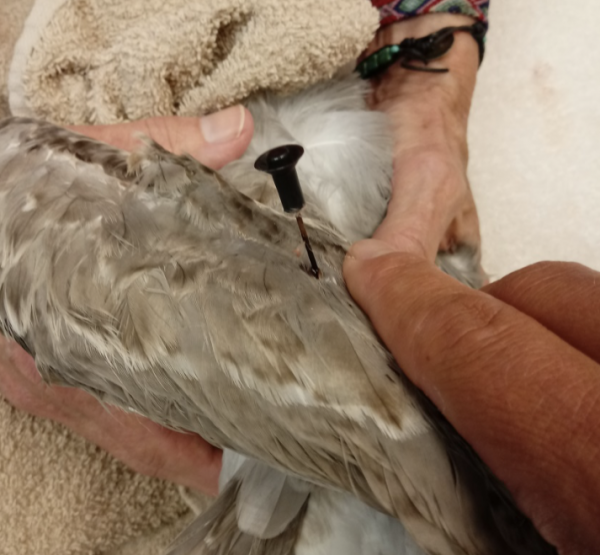 Between Sept. 11 and Oct. 10, Pacific Wildlife Care received and treated several California Gulls that had been shot with sharp metal darts at the Oceano Dunes. Pacific Wildlife Care is the only wildlife rehabilitation program licensed to rehab birds, mammals and reptiles in San Luis Obispo County. The darts removed from the birds are about 4.5 inches in length and have a round, colored plastic vane. The darts may be blowgun darts used for target practice, employees of Pacific Wildlife Care said. Rehabilitation staff says the birds that have received treatment at Pacific Wildlife Care have responded well. One of them recovered fully and has already been released. The California Department of Fish and Wildlife is seeking any information that may lead to whoever is responsible for the crime. Anyone with information about the illegal darting of birds is asked to call Fish and Wildlife’s confidential witness program at 1-888-334-CalTIP. Rats with wings. E’wacks have gone to great lengths to protect the environment and the waters. Ban, ban and more bans. Until you ban eating on the beach or within 1000′ of it there will be cans full of what they like best…trash. Much of it strewn about and off into the high tide. The the mass amonts of bird crap over everything. F&G need to reverse the regs and make a nice couple week long open season on the filthy things. Look at it this way, crabs, lobster,catfish and many others are scavengers and tasty, BBQ’ed gull might just be real tasty too.